Understandably, many people are less that enamoured by the concept of putting a screw into the bone of your jaw, believing it to be extremely painful. In fact, quite the contrary is true and on this page we will be helping to prepare you for dental implant surgery by talking you through the procedure. Implant surgery is actually a relatively minor procedure. You may have had some preparatory examinations done in the form of x-rays, CT scans or similar. This is a useful guide for your dentist who will be able to determine your bone structure, bite and other relevant information in order to successfully perform the implant surgery. After being given anaesthetic, the first part of the process during the surgery will involve creating a small hole into the jaw bone. This process is known as an osteotomy. Small incisions are made into the surrounding gum tissue, creating flaps which can be used to look at the shape and location of the bone. Your dentist may have created a surgical template marked with the drilling locations, and if this is the case this may be inserted into your mouth now. Drilling takes place in such a way that the size of the hole progressively increases until it is such as size and shape that the new implant will fit perfectly into it. Although this sounds like it would be painful, the anesthetic means that while you may feel some vibration and pressure, you should not be in any pain. The next step is to place the implants directly into the drilling site so that the process of fusing the bone and implant can begin. Once they have been inserted into place, your dentist may well take more x-rays to ensure that the positioning of the implants is absolutely perfect. Once your dentist is happy that the implants are in the correct place, he or she will close up the small flaps in the gum that were created, sealing them using sutures. If your dentist uses dissolvable sutures then you will not need to have them removed. Standard sutures should be removed within a couple of weeks of your dental implant procedure. 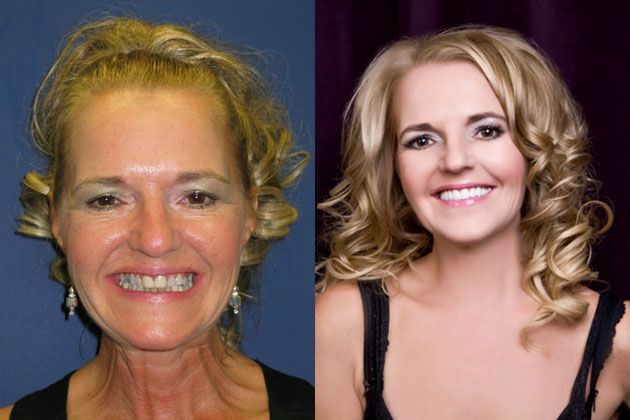 Surgeries that have gone well usually have an extremely high success rate. That said, you will have to take some care with your mouth and teeth in the few days immediately following your procedure. Your dentist may prescribe you with non-steroid anti-inflammatory medication to take in the first few days after your implant procedure. This will help to reduce any swelling or discomfort you feel. If you find that these are not strong enough, your dentist may provide you an opiate-based medication such as codeine to take either instead of, or as well as, your original pain relief. Many dentists will also prescribe a course of antibiotics, in addition to products such as antibacterial mouthwash. This should minimize any risk of infection. You may find it strange to get used to eating and drinking with your new implants. Your dentist will advise you if there is any foods or drinks that you should avoid in the first few days following your surgery. If you have any concerns at all about your dental implant surgery, we strongly recommend that you speak to your dentist who will be happy to advise you.